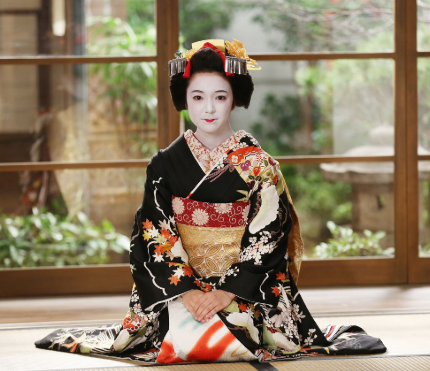 Here’s your introduction to traditional Japanese dress. 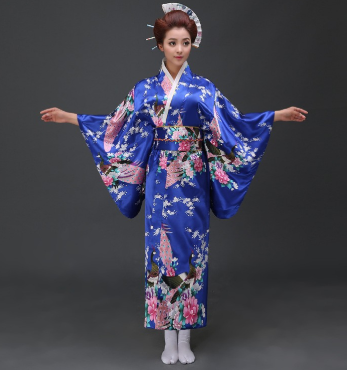 The kimono is a formal Japanese garment and wearable art used during important ceremonies like weddings. 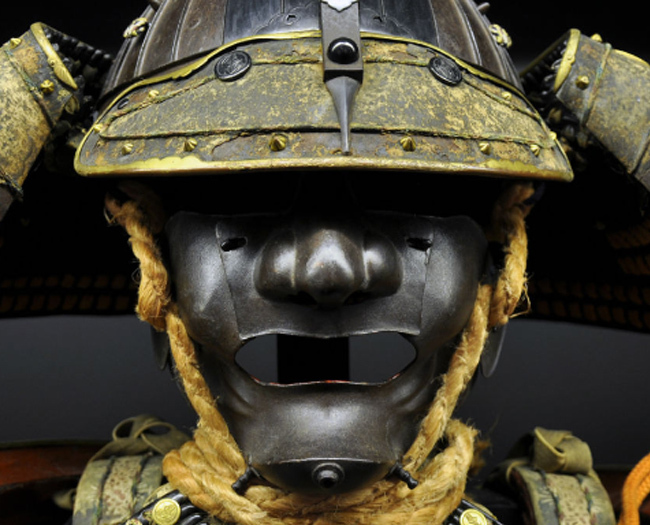 Even though it originated in China, it’s now part of a big fashion and art industry in Japan. Kimonos are long gowns that reach the ankle, worn by both men and women. A kimono is made from a single bolt of silk, which means kimonos can fit a wide range of body sizes. A bolt, or a roll of fabric, is usually 40 to 60 inches long and anywhere from 40 to 60 inches wide. Do you have any idea how much an original kimono costs? 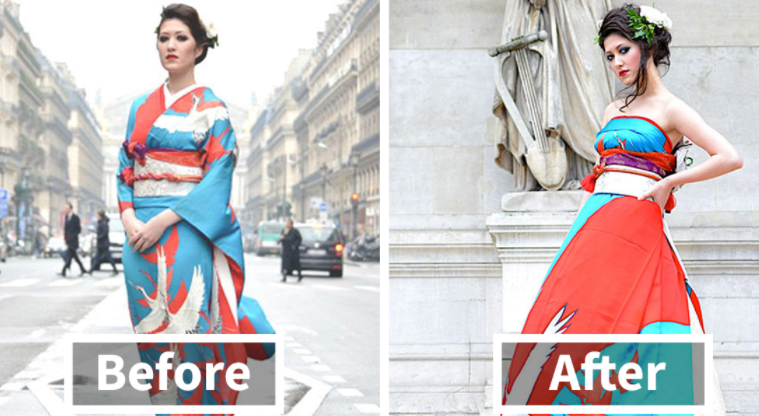 A silk kimono could set you back around $20,000! 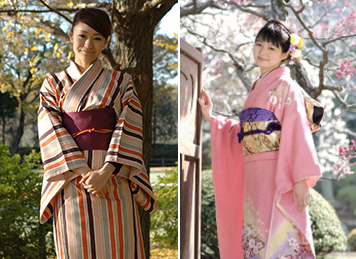 Women in Japan have recently been devising an ingenious and modern way of wearing kimono on their wedding day. 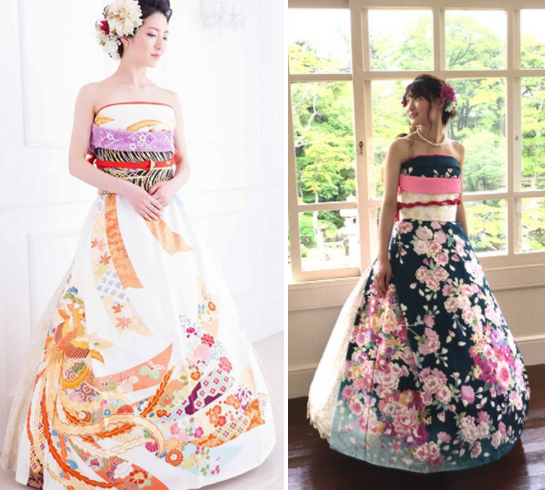 The dress provides a two-in-one option – the traditional kimono which is then transformed into a Western style wedding dress, with a Japanese twist. The yukata on the other hand, is a dress commonly worn in Japan during the summer. 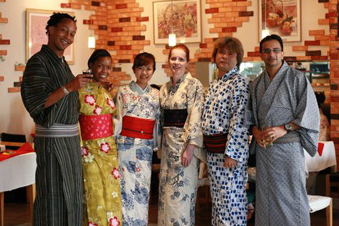 The yukata, usually made from cotton literally means “bath dress”. Originally, yukatas were used at bathhouses to soak up extra moisture. Today, men and women wear them throughout the hot Japanese summers. With many different patterns and breathable fabric, yukata are designed to be cool, comfortable and stylish. The kimono was the primary type of clothing worn in Japan before Western imports of suits and casual dresses captured people’s attention. 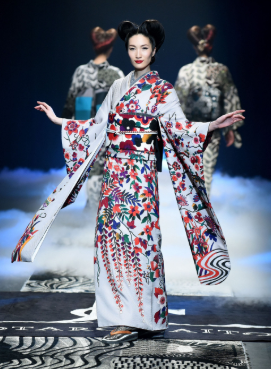 So wearing a kimono can connect people to the past, while enabling them to wear a stunning piece of art. They can also accessorize their kimonos with sun umbrellas, bags, and stylish wooden sandals. The yukata allows people to wear traditional dress which looks similar to the kimono, but at a much more affordable price. People across Japan, from all walks of life, can engage in the cultural tradition of wearing this style of garment. Most of us don’t have a spare kimono or yukata in our closet! The good news is that you can rent them pretty easily in most cities around the world. The style is instantly recognizable as Japanese dress, so check out local Japanese shops and restaurants near you for advice on where to rent them. The next big challenge is putting it on! If you don’t wrap yourself securely, you may quickly find your Japanese experience unravelling. Ask an expert for some help! Check out this short video about the Yukata Fashion Show at Misawa Air base in Japan – just one example of how fashion and tradition can foster understanding and cultural exchange. Share pictures or videos of you in your kimono or yukata with us! Use the form below or tag us @ArtsmithNY on Twitter, Instagram, and Facebook and use the hashtag #ArtsmithJABS.